I grew up in NW Tasmania and now live in Canberra the National Capital of Australia. I am an engineer and currently work for DPS PSDB Broadcast and Digital Media Projects at the Australian Parliament House as a Senior Technical Specilist. I was a Staff member of the Communications Laboratory in Belconnen until it was abolished in 2000. After that I was a member of the DCITA Communications Research Unit before moving to Parliament House. I specialise in Television, Multimedia, Communications and Computer systems research. A public resume is on this site. Mid 2002 Fran and I had a child called Jessica and 4 years later (Mid 2006) we now have a second child called Isabella. I have been having some problems with gutters overflowing. Decided to get a plumber in. After 1 hour and $108 he told me to get a back hoe as I have roots in my pipes. In the end I did the digging myself and this is what I found. The total length of the roots was over 10 metres. Click the thumbnail for an image page. I have been upgrading the structure of my 15 year old pergola after I found a lot of rotton wood in it. I have now renewed all the flawed sections and placed a roof on the pergola. 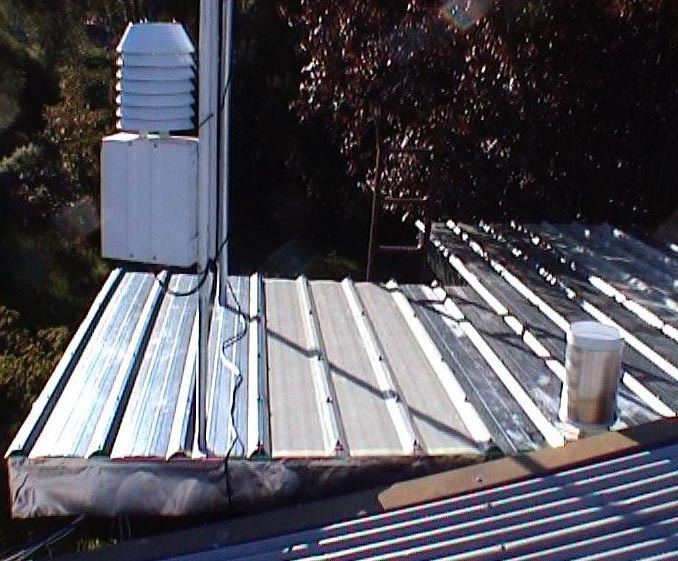 I was originally going to use Laserlite, however there is no compatible metal roof section so I ended up with Stramit Megaclad galvanised steel and opal fibreglass. I have put the purlins 300 mm apart making the pergola roof very solid to walk on. 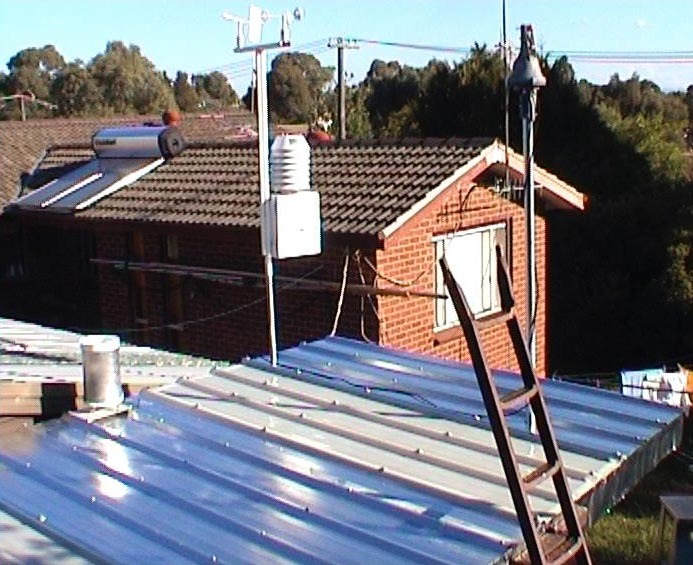 This allows access to the mast, rotator and weather station. Here are some pictures of the result. Click the thumbnails for a bigger image. I have switched ISPs a number of times and have currently settled with Internode who do provide a Straight Forward SOHO ADSL 1 service that works. If you are running any type of server you need to consider both the upload and download costs including the up/down ratio as some ISPs (primarily Telstra) are charging for upload. My typical Up/Down ratio varies between 5:1 and 10:1 running a Web server, Telstra allow only 2.75:1 before charging for upload.